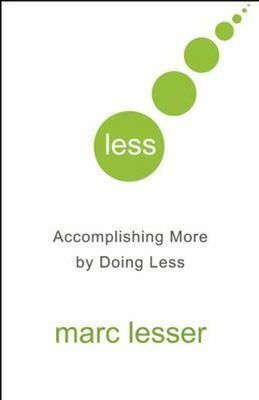 Discusses the benefits of doing less in a world that has increasingly embraced more – more desire, more activity, more things, more exhaustion. This book is about stopping, as well as the possibility of finding composure in the midst of activity. It is also about the power of accomplishing more by doing less. This book is a collection of tools as well as a manual for doing more of what is important and less of what isn’t. You will accomplish more of what matters to you. Doing less and accomplishing more is about aligning your actions with your values and your particular passions. A life of busyness is often the result of trying to escape facing our fears. One part of the book that stuck with me is about paradoxes, like Marc’s own example “I am shy and solitary, and I love speaking in front of people.” It’s an interesting way of seeing that it’s not either-or, we can be both without conflicts. Embrace paradox and you increase self-acceptance, tolerance of others and your own possibilities. What is one change you could make in your life today that would have an impact on the quality of your day? Posted on November 16, 2009 by BengtPosted in Discover Your SelfTagged Choice, Get Things Done, Meditation, Mindfulness, Review, Zen-related. Previous Previous post: How about presenting naked?